On Tuesday, March 26 the Monmouth University Polling Institute will present a panel discussion “Animal Welfare: The Higher Education Perspective” from 6 p.m.-7:30 p.m. in the University’s Wilson Auditorium. Monmouth University experts Randall Abate, J.D., Lindsay Mehrkam, Ph.D., Chris Hirschler, Ph.D., Megan Phifer-Rixey, Ph.D., and Anastasia Wheeler will discuss current issues in animal welfare such as animal research, federal and local animal protection laws, public opinion on wild animals in captivity, and more. Monmouth University Polling Institute Director Patrick Murray will moderate the panel, which will also include an audience Q&A following the discussion. 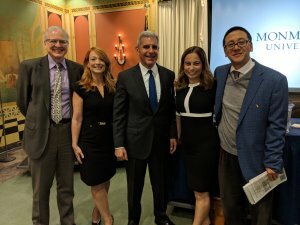 Abate is the inaugural Rechnitz Family/Urban Coast Institute Endowed Chair in Marine and Environmental Law and Policy, and a professor in the Department of Political Science and Sociology. He teaches courses in domestic and international environmental law, constitutional law, and animal law. 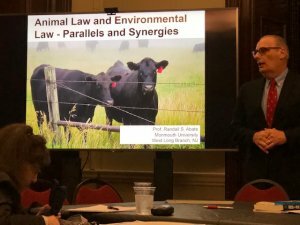 He has taught international and comparative law courses—and delivered invited lectures—on environmental and animal law topics in more than 20 countries. Abate has published five books and more than thirty law journal articles and book chapters on environmental and animal law topics. Mehrkam is an applied animal behaviorist, animal welfare scientist, and doctoral-level board-certified behavior analyst. Her primary research interests focus on the benefits of human-animal interaction, enrichment, and training for improving the welfare of both animals and people in society. As both the director of the Human & Animal Welfare Collaboratory (HAWC) and Program Coordinator for the Six Flags Field Experience Affiliation, her teaching and research programs in applied animal behavior, learning, and well-being have led to grants, publications, workshops, internships, and service learning opportunities in animal shelters, zoos, aquariums, and animal sanctuaries, among others. Hirschler is chair and associate professor of the Department of Health and Physical Education at Monmouth University. He has taught over 170 college courses, including a First Year Seminar he developed titled, Anthrozoology, Ethics, and Health. He is the author of “‘What Pushed Me over the Edge Was a Deer Hunter’: Being Vegan in North America” (Society and Animals, 2011). Phifer-Rixey is an assistant professor in the Department of Biology at Monmouth University. Working in systems ranging from the marine intertidal to the Sonoran Desert, her research seeks to answer the question, “How do organisms adapt to their environment?” Supported by the University’s Urban Coast Institute, she also applies a genetic perspective to understanding the dynamics of marine populations. Working in the community, she runs grant-funded workshops in local schools introducing concepts in genetics. In addition to teaching Introductory Biology and Evolution, Phifer-Rixey trains Monmouth students as scholars through her research courses. 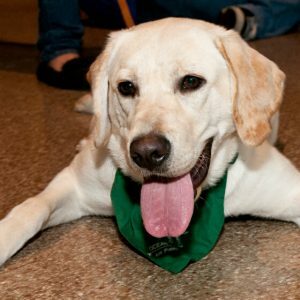 Wheeler teaches Psychology of Animal Training and Field Experience in Animal Behavior at Monmouth University. She is a supervisor of Safari and Animal Training at Six Flags Great Adventure in Jackson, New Jersey. 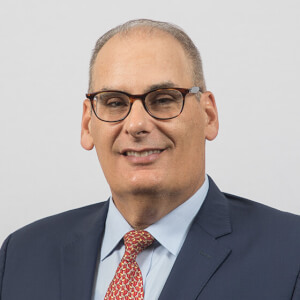 Murray was named the founding director of the Monmouth University Polling Institute in 2005, which has established itself as one of the nation’s leading independent survey research centers. The institute has earned an A+ rating from FiveThirtyEight.com, one of only five polling organizations out of nearly 400 nationally to receive this top grade. Murray frequently appears as a commentator on national and regional TV and radio. During federal election years, he also serves as an exit poll analyst for the NBC News Decision Desk. For more information about the animal welfare discussion contact the Monmouth University Polling Institute at (732) 263-5860 or polling@monmouth.edu.